We love seeing the patterns our favourite bloggers have designed. Here’s a round up of some beautiful some adorable baby projects inspired by the animal kingdom created especially by this talented flock of crochet designers! Who doesn’t love baby pandas? All About Ami’s sweet baby dress-up looks so beautiful, and that little hat is snuggly and warm too! Bobby Bunny is one of those little bunnies you can tuck warmly into a buggy or cot, knowing that little hands will find him and snuggle him into a hug. Have a look at Emma Varnam’s other free patterns here. Hopeful Honey’s little field mouse slippers are too sweet for words! Get your hooks out and make some up now, in time to pop into Christmas stockings. Our fabulous Kate Eastwood writes super tutorials for us in Crochet Club. This was a very popular baby hat for all the little bunnies out there! Eight little legs for chubby fingers to hold. Whistle & Ivy’s sweet octopus will be a favourite friend for babies, and toddlers too. 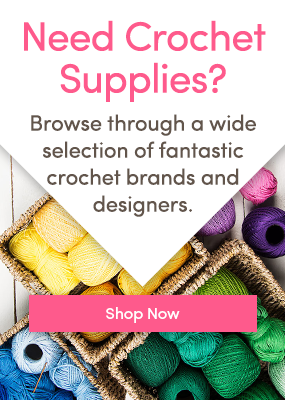 Are you crocheting an animal? Why not tell us what creature your crafting in the comments below! hi looking for pattern for the Pastel V-Stitch baby Blanket pictured above…does it have another name? Thank you!